In adhering to Elder Kearon’s call to stay informed, here is a story of the Pope’s visit to the Greek island a Lesbos. 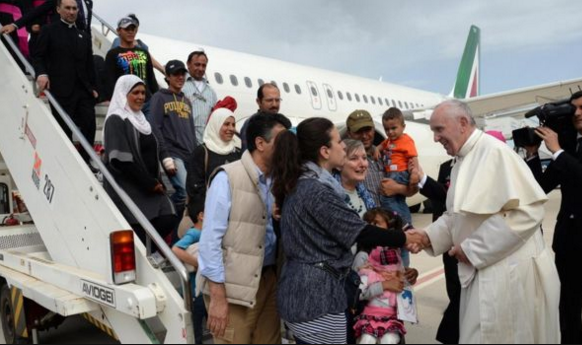 While there he escorted 12 refugees from their dismal camp to Italy where they will be cared for by Catholic Charities. LDS Humanitarian Services has a strong relationship with Catholic Charities.